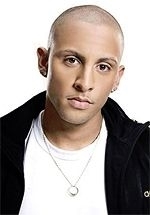 DJ Warras (real name Warrick Stock) is a South African radio and club DJ and television presenter best known as a jock for Yfm. Born in Durban, he moved to Johannesburg when he was a teenager and began working at Yfm in 2008, originally in the graveyard shift but gradually working his way up into daytime radio. In 2011 he hosted Prime Mode on Yfm weekdays from 12h00-15h00 and in 2012 he became the host of Undisputed, airing 18h00-21h00 on weekdays. In September 2012 he was named as a new co-host (with Luthando Shosha) of the SABC1 music magazine programme Live Amp, from Season 14. In 2016 he joined the SABC3 show The Man Cave as a presenter.